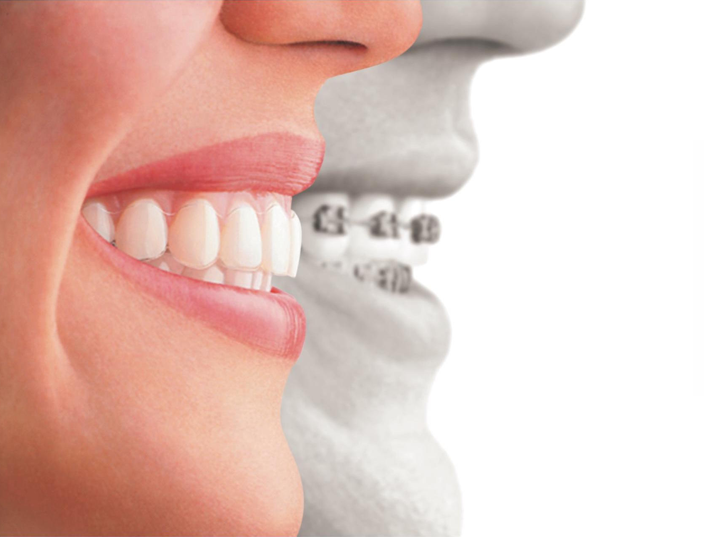 Braces or Invisalign: Which is More Comfortable? One of the main reasons why many adults and teenagers choose Invisalign braces is the perception that metal braces are painful. But is that true? Does Invisalign really hurt less than traditional metal braces? There are a couple of studies looking into comfort of braces. In the first study, Orthodontists asked 145 patients to grade their comfort on a day-to-day basis using a scale. Half the patients were being treated with Invisalign, half with traditional braces. The study showed that patients- with Invisalign reported more comfort and less pain than the patients being treated with traditional braces. A second study asked 60 patients to grade pain and the impact treatment had on their ‘quality of life’. Again, half the patient were treated with Invisalign, half with traditional braces. The study found that the Invisalign patients experienced more comfort and treatment had little or no effect on the quality of their lives. If you have concerns about braces pain, then Invisalign could be the right choice for you. The majority of patients find them comfortable to wear and report little or no impact on their day to day lives. If you are thinking about straightening your teeth and would like to discuss your treatment options you should consult with a Specialist Orthodontist. For the best results, selecting an experienced Orthodontist can make all the difference. Dr O’Donnell is an expert in Invisalign and all types of orthodontic treatment. She will always talk to you about all your options. We will evaluate your specific issues on your initial consultation. Creating beautiful smiles no matter how challenging is what we do! As a new patient, you can take advantage of a FREE consultation. The friendly team at Newpark Clinic will make you feel comfortable as we discuss you or your child’s smile, explain your treatment options and provide the information you need to make a wise decision about your oral health. Call us today on (01) 210 4588 or message us! Dr O’Donnell is proud to be part of the Your Smile Specialist group of leading Specialist Orthodontist.